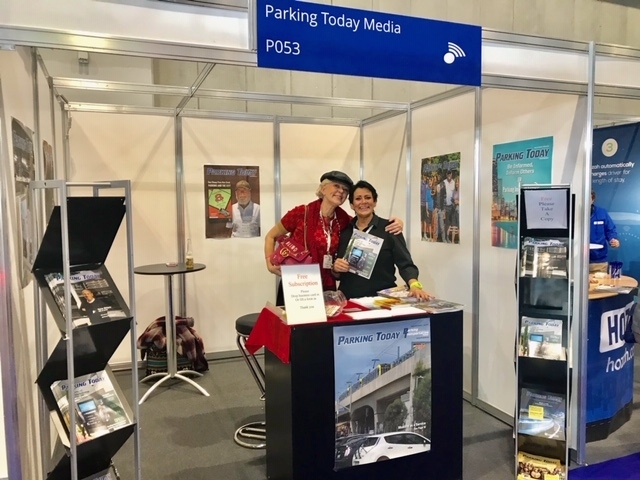 PN editor Astrid and I spent last week in the UK attending the British Parking Association’s PARKEX event at the National Exhibition Center in Birmingham. 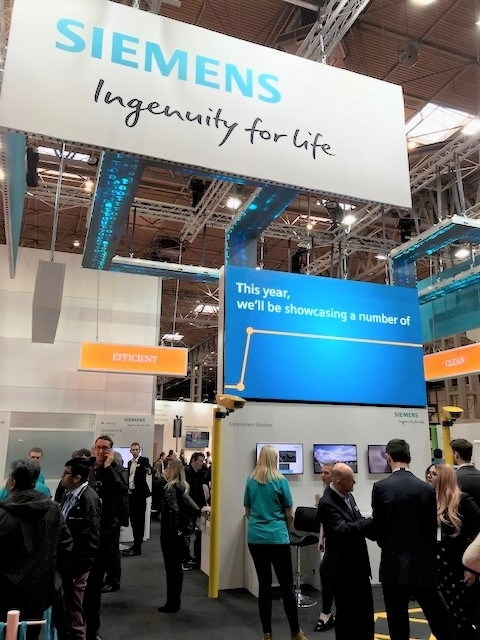 Although it is located in the UK, its is a quintessential European trade show. PARKEX is collocated with Traffex every other year. This year is one of those. Traffex focuses on road, traffic, and transportation technologies. It has about 350 exhibitors with PARKEX coming in with around a third of that number. This is a large and well attended event for a country is a fifth the size of the US. Most of the larger stands are mounted on ‘floors’ that are about four inches above the level of the aisle and require you to take care not to fall on your face as you enter. The exhibitors are there not so much to present their wares, but to network. And they do so over food and drink. A large number of the stands have bars and attendees are invited in for beer or wine and often high end hors d’oeuvres, giving the exhibitor time to talk to and get to know the visitor. I got the feeling, however, that most of the schmoozing was going on between those who were using the event to renew and reinforce business relationships. We were able to see many old friends and make new ones, to see some technology not yet available in the US, and hopefully wave the PT flag across the pond. So, for us, it was a success. The feel of the event was more formal than like shows in the US. The edges were sharp, the graphics crisp, assumptions that you already knew what was in the booths rampant. I would guess that walking down the crowded aisles and stopping in front of each stand, you would have no clue what they were representing simply by looking at the pictures and signs on the walls in about half the cases. But then, that’s not unusual. I found the same thing at PIE this year. Part of this formal ‘feel’ may have to do with the fact that smaller (10×10) booths are constructed out of aluminum and plastic by the organizers. Most of such stands here are demarcated by ‘pipe and drape.’ The European approach gives a sense of permanence although they will be taken down and stored just at the metal and cloth are in US trade shows. Size seems to be important with companies investing small fortunes in exhibits that cover many square meters. I wonder whether they are attempting to impress their competitors rather than potential customers. Size seems to have gotten the attention of US exhibitors too, with one, at least, having a larger presence than they do at either the IPMI, PIE, or NPA. I sometimes wonder whether they are attempting to impress their competitors rather than potential customers. PARKEX reflects the time and culture of its country of origin. Its formal, and a US visitor might find it a bit stuffy. But if you scratch the surface, you will find friendly staff, willing to help. What more is there?